There are other world than these. This year we saw the premiere of Mr. Mercedes, remakes of The Mist and IT. 2017 was the year of Stephen King so it would only make sense that The Dark Tower would be transformed into the visual medium of film now. This should have been a slam dunk. I think that people came into this movie with two mindsets and that was probably why they didn't enjoy it. Either you came in with extensive Dark Tower knowledge and thought the movie would be exactly the same as the book or you came in with little to no knowledge and the whole movie was a bit too meta and awkward to you. I liked The Dark Tower but admit it may have had flaws. And I know what you are thinking "This guy was trying to sell me on watching some of The Great Wall last week. He is crazy if he thinks I'm going to trust him on this one." No, trust me. The Dark Tower isn't a faithful retelling of the Stephen King series but it is the continuation of the series after the last book ends. Mostly. That is key with appreciating what this film is. The top image on this post is from a tweet by Mr. King and it tells you everything right there. 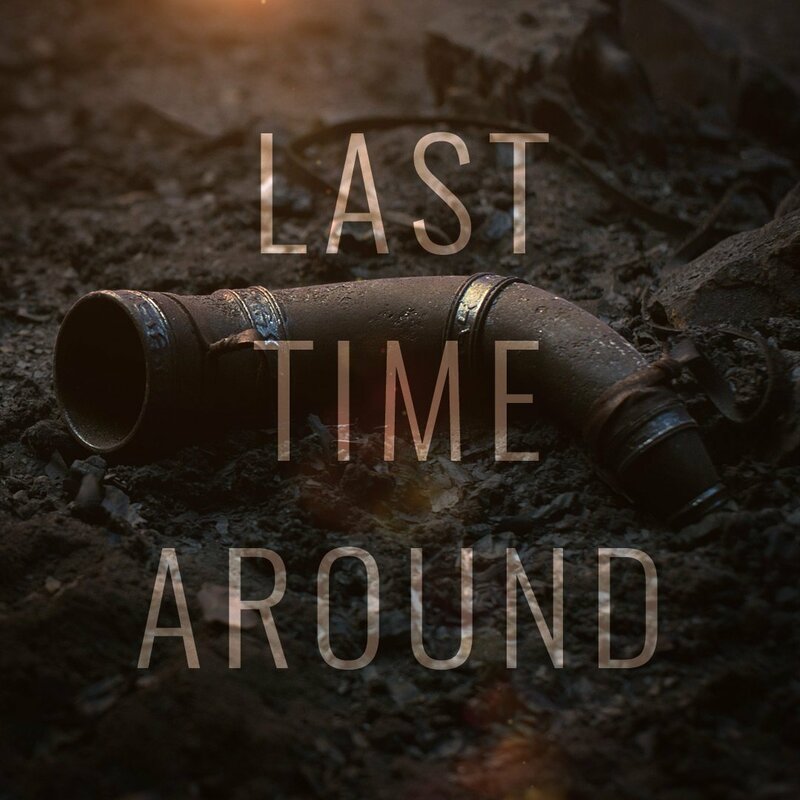 This is the last time around in the Gunslinger cycle in protecting the Tower that guards us all from the machinations of the Crimson King and the things outside our multiverse. The movie is a new combination of the first book in the series, The Gunslinger, and the third book, The Wastelands. 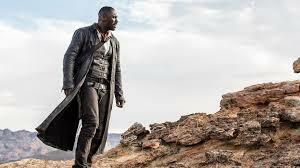 It centers on Jake Chambers awakening to his new abilities on our world and how the random earthquakes happening here are a result of the Dark Tower being attacked on The Gunslinger Roland Deschain's world. I don't want to get too much into the details of the story because I think folks should see the movie and/or read the books. 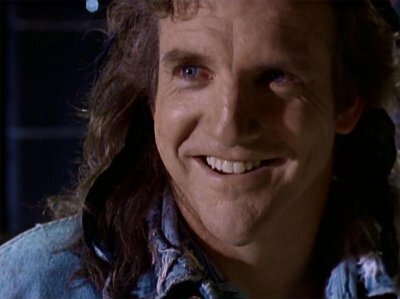 Ultimately, the two meet up and go on an adventure to stop the bad guy with a million aliases- The Man In Black aka Walter O'Dim aka Randall Flagg aka The Walking Dude aka Rudin Filaro aka Raymond Fiegler aka Richard Fannin aka Marten Broadcloak aka I can do this all day. He mainly just goes by either Walter O'Dim or The Man In Black in the series and the movie. He serves the evil of the multiverse and fills the role of The Dragon to the hidden power of the Crimson King. Jamey Sheridan was pretty pitch perfect as The Stand version of this character but I think Matthew McConaughey perfectly sells it as the magical and menacing Man In Black in this film, especially played against Idris Elba as the world weary Gunslinger. I think there are definitely things that can be changed about this film to make it better. The visuals of the transportation portals may not be to everyone's liking. The combination of advanced technology and magic maybe could have been explained in more depth. Certain elements certainly felt rushed and that is definitely an issue when translating a multi-book series into a film. The quick resolution at the end of the film of certain things certainly felt off. The use of guns to resolve things is a huge issue at this moment in time in the United States and that can understandably be a turnoff for some people. 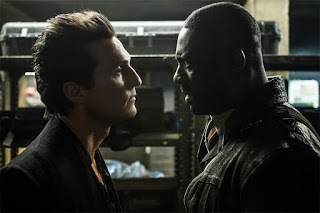 I enjoyed The Dark Tower in written form and I think the film version has merit. I hope they continue with their plans to make additional movies or continue it in a televised series of some sort. In fact, if they had just announced that they were making a long form series of this story to extend the books' tale I would have been ecstatic. Of course, this would have come at the expense of having the two big names you had in the movie so I understand the motivation behind a movie instead. Either way I think this story still potentially has a way to go to give us the introduction of Eddie Dean and Susannah Holmes. 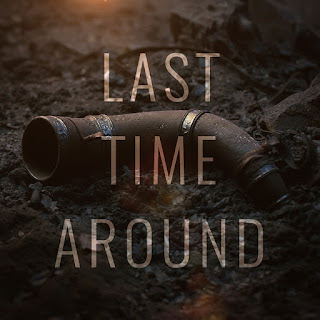 There is still work to do to conquer the efforts of the Crimson King and there are still places to visit in Mid-World that were mentioned in the book. The Gunslinger still has bullets in his gun to put to use in the fight against evil.